Applications: for manual processing of ferrous and non-ferrous metals, especially effective in molds, weapons and pots. For professional dry use. For flexible surfaces. 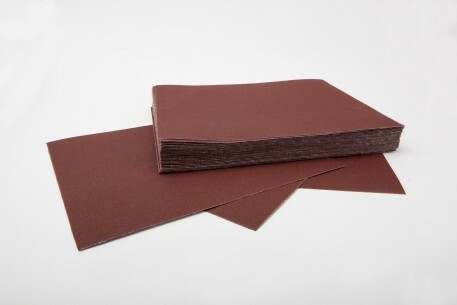 This sheet of abrasive cloth is made of flexible cotton fabric. Way of bonding: double layer of resin. Type of abrasive: corundum.